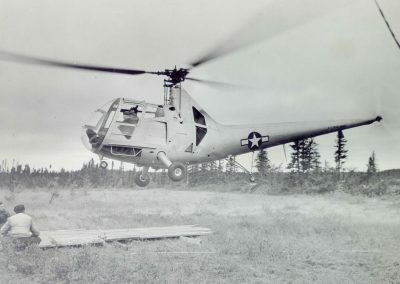 Sikorsky designed the HOS-1(R-6) as a follow on to his fabric covered HNS-1 (R-4). The HOS-1 had an all-metal fuselage. 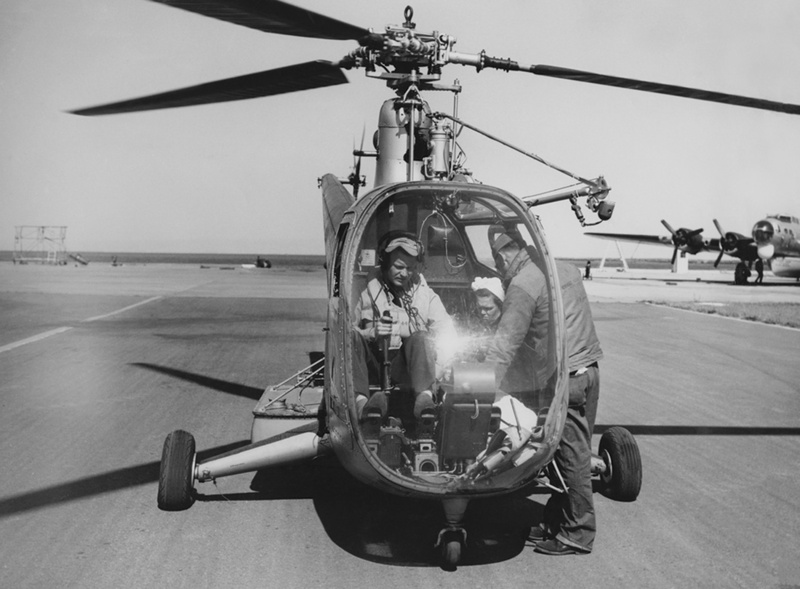 The R-4’s rotor and transmission system, a 3 bladed 38 foot fully articulating main rotor, powered by a 225HP Lycoming engine was retained. The Lycoming engine was replaced by a 235 hp Franklin O-405-9 engine in the XR-6A and all subsequent R6 (HOS) models. The HOS-1 had a speed of 100Kts, a range of 400 miles and two place side by side seating in the cockpit. 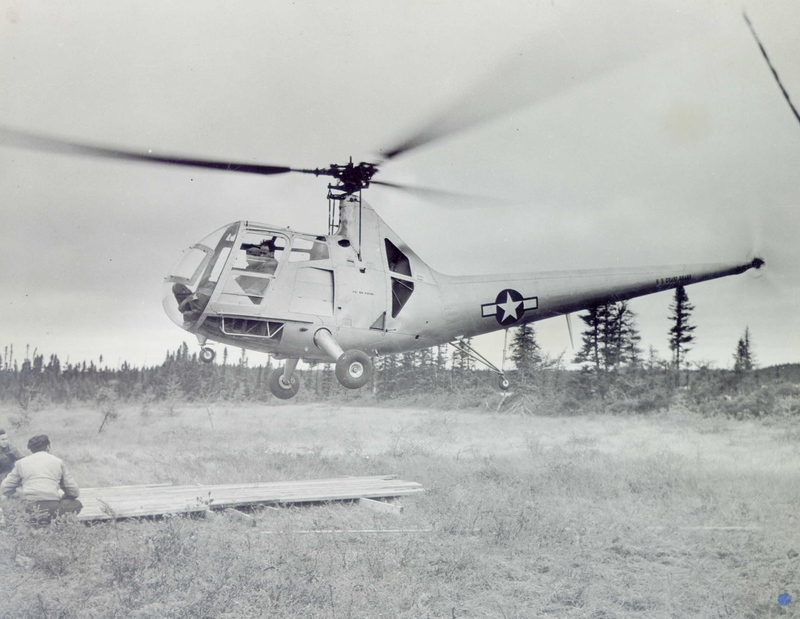 The first of three XHOS-1 were delivered to the US Navy and transferred to the US Coast Guard Air Station Floyd Bennett Field for test and evaluation. One of these crashed. On 18 June 1946 CDR Erickson was moved to the Coast Guard Elizabeth City air station. 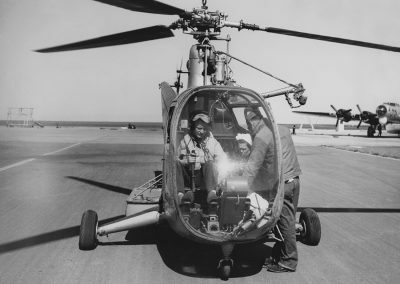 His downsized Helicopter Test and Development Unit consisted of a small group of dedicated personnel, one hangar, one HNS and two HOS helicopters. This was the thread that kept the Coast Guard helicopter program alive. 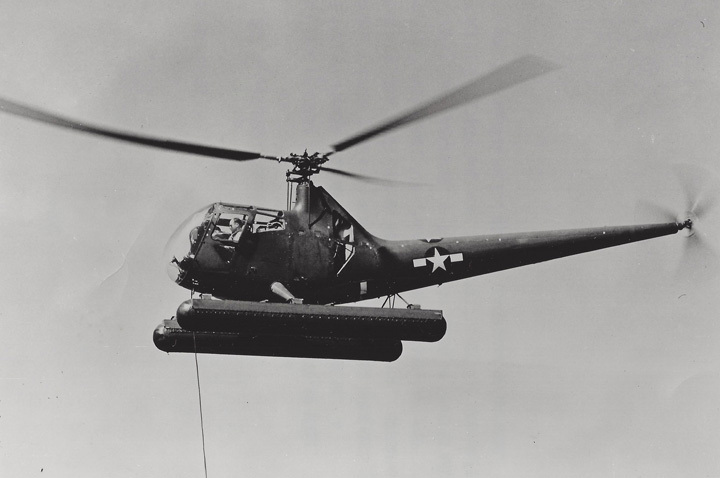 U.S. Coast Guard HOS-1 helicopters were equipped with rescue hoists, emergency flotation gear, and bubbles on the fuselage to accommodate a stretcher horizontally across the cabin.